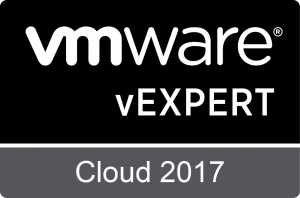 Bryan O'Connor Virtualisation and IT Blog: Are you going to VMworld 2018 Las Vegas or Barcelona or both? Are you going to VMworld 2018 Las Vegas or Barcelona or both? I've been extremely lucky over the last few years to attend VMware VMWorld in Europe and the States. I'll be there again this year at Barcelona. There's a number of reasons to go. 1) This is the most important for me, this is an opportunity to meet my peers and see how they ustilise VMware products, and to share real world uses of the products, this is important to me as a VMware Certified Instructor, as it allows me to tell stories in my classes about the products, rather than just teach the tech. I also get to catch up with friends from around the world and to also make new friends. 2) The sessions, this is an opportunity to get deep dives and introductions to the newest products, you get to know what the product is, see what the product does, and also learn how to troubleshoot the products in the rare event they don't behave as expected. 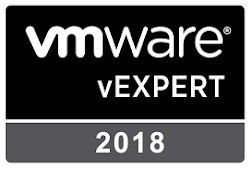 3) The General sessions, this is an opportunity to learn about the present and future of VMware, it's amazing to see the passion of the senior management at VMware, as well as the passion from the staff at VMware. 4) The Sponsors Hall, have a look at the technologies that VMware runs on, and also the technologies that complement VMware, and support VMware, leave your suitcase half empty, this is where you get the freebies. 5) Hands On Labs, play with the product. 6) Education Village, come along and sit on some sessions about the products you use, sit some exams and if you see me, say hello. 7) The parties, last year we had the Kaiser Chiefs headlining the party, again, it's an opportunity to catch up with friends. To register, click the link.